Crane. 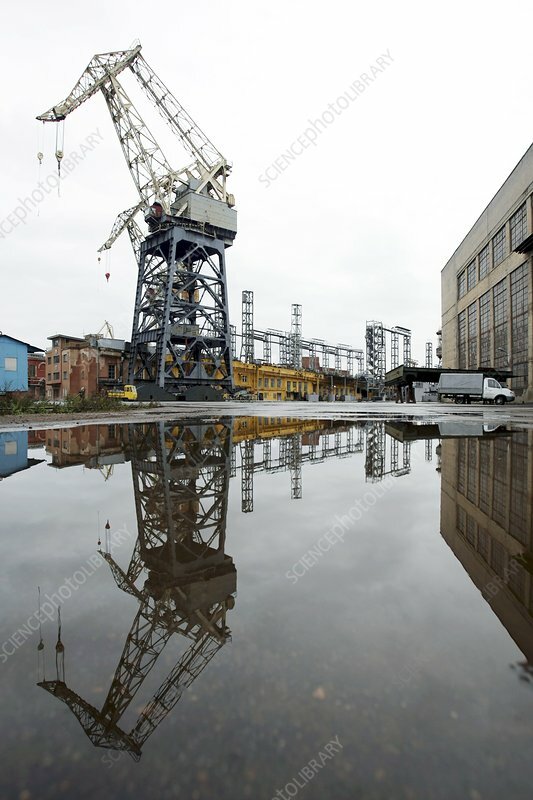 A large crane in a commercial dock reflected in a large pool of rainwater. Photographed in St. Petersburg, Russia.